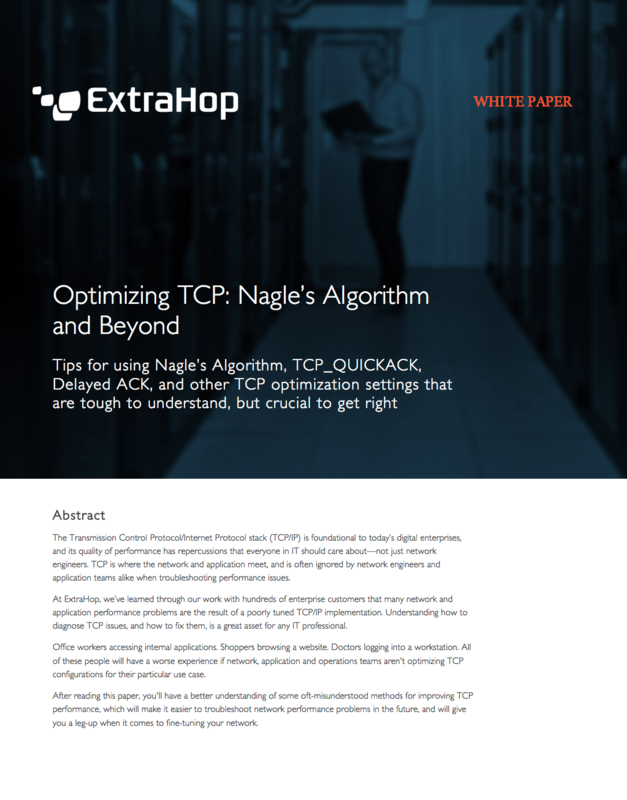 Learn how to fine-tune the TCP/IP performance that underpins your whole network. TCP holds the key to a ton of hard-to-pin-down network and application performance issues, but many network engineers and application teams ignore it when they try to troubleshoot—which means those problems might go unsolved for months or even years. After reading this paper, you'll have a better understanding of some oft-misunderstood methods for improving TCP performance, which will make it far easier to troubleshoot network performance problems in the future! What causes Nagle Delays, how the affect your network, and how to manage them. What TCP_NODELAY, TCP_QUICKACK, and TCP_QUICKACK can do for you, or how they could be hurting your network's performance. How to test your network for TCP performance issues, and correct the problems you find.